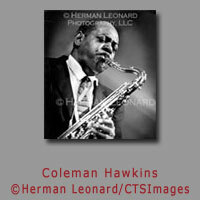 Acclaimed as the preeminent photographer of the jazz scene during the 1940's & 1950's, Herman Leonard was highly regarded as a national treasure. 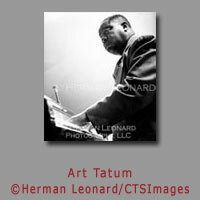 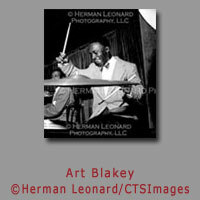 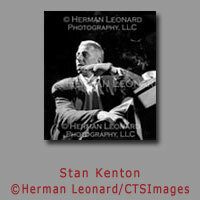 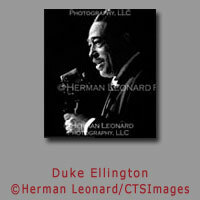 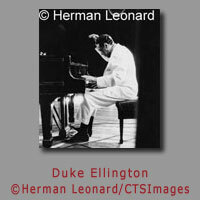 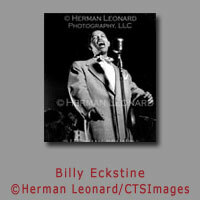 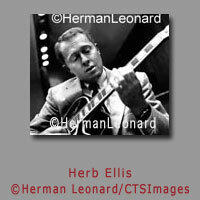 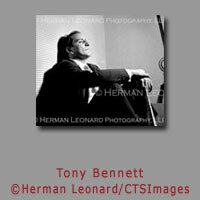 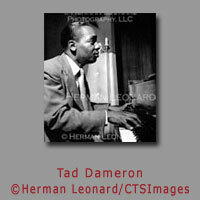 Herman Leonard took some of the world's most important photographs during the jazz era. 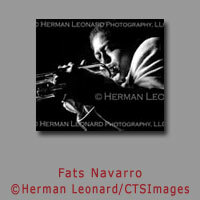 In the late 1940's, Leonard's passion for jazz brought him to the swinging clubs of Broadway, 52nd St and Harlem, and he photographed some of the great icons of jazz history including Charlie Parker, Dizzy Gillespie, Billie Holiday, Duke Ellington, Dexter Gordon, and many more. 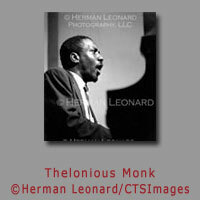 Although Leonard had a very long and successful career in fashion and advertising photography, it was his long forgotten accumulation of jazz negatives that spearheaded his reemergence in the jazz scene. 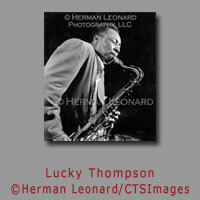 In 1988, his first ever jazz exhibition in London was a huge success, and Leonard had over 100 jazz photograph exhibitions worldwide during his lifetime. 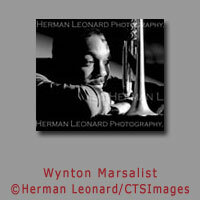 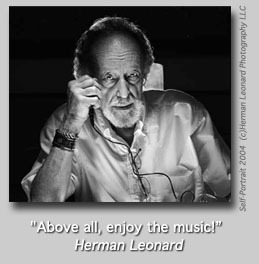 Leonard's photo books include Eye of Jazz published in 1985, Jazz Memories published in 1995 and Jazz Giants & Journeys-the Photographs of Herman Leonard published in 2006. 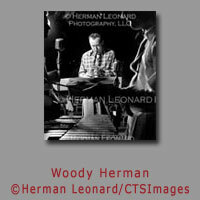 Herman passed away in August 2010. 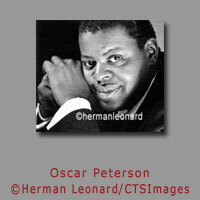 Universally loved and admired, he leaves an enormous artistic legacy for us to carry on. 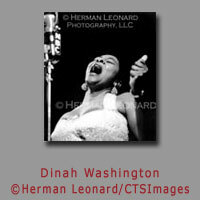 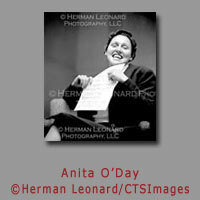 Contact cynthia@ctsimages.com for licensing inquiries.